The RedMere chipset featured in these ultra-thin cables allows full transmission of 4K video at refresh rates up to 30Hz in a much more slender package. 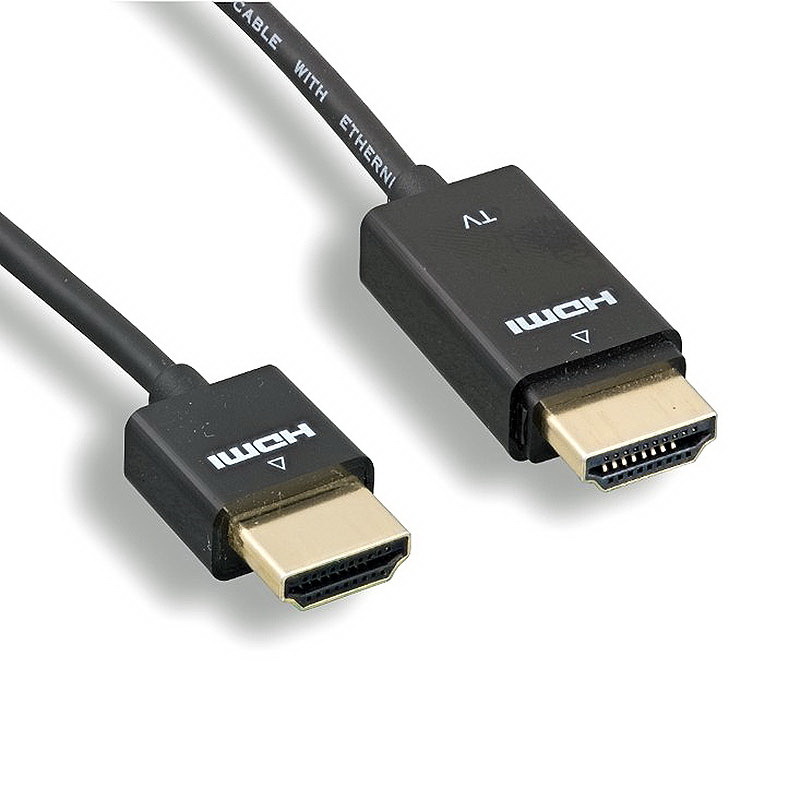 This thin HDMI cable has a much tighter bend radius than a standard cable permitting access to tighter spaces and/or facilitating a cleaner more professional installation. This cable is an excellent option for anyone looking to push a beautiful picture to their displays while reducing cable clutter. Road warriors, installers, and vacationers alike will appreciate how much less luggage and storage space these RedMere enabled HDMI cords take in comparison to the thick cables of yesteryear.